Experience the breathtaking beauty of the United States of America, as Discover USA takes you on a tour of this country of superlatives and scenic surprises. North and South, East and West, this unique aerial tour leaves no stone unturned in exploring all that the USA has to offer. Fly over the Rockies and the Grand Canyon, visit New York, Washington D.C and Los Angeles and cross thousands of miles of the USA. From the major cities, to small wilderness airfields, snow capped peaks and arid deserts, bush pilots and city explorers alike will discover the airborne adventure of a lifetime! 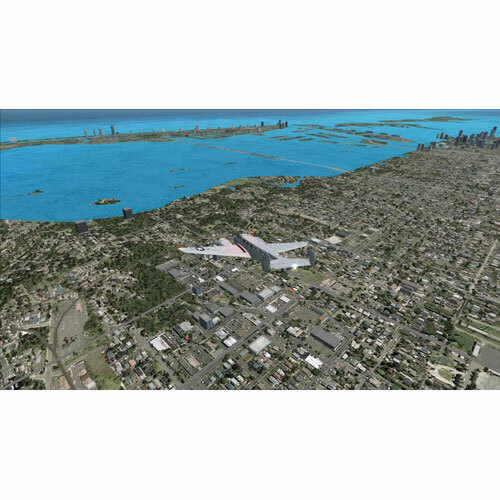 Also included is a highly detailed and realistic simulation of the Beechcraft 18. This iconic aircraft, first flown in 1955, is still prized by collectors today for its performance and elegance. 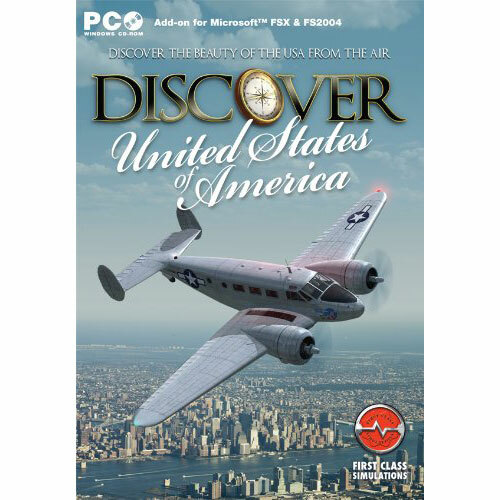 Take to the air in style as you traverse the USA in this challenge of a lifetime and relive the glory days of aviation. This mammoth adventure is supported by lavish extras including a tourists guide to all the destinations visited, detailed pilots notes, a comprehensive briefing and a tutorial for the included Beechcraft aircraft. Live the American dream as the panoramic majesty of this great nation passes beneath your wings!